Hello. 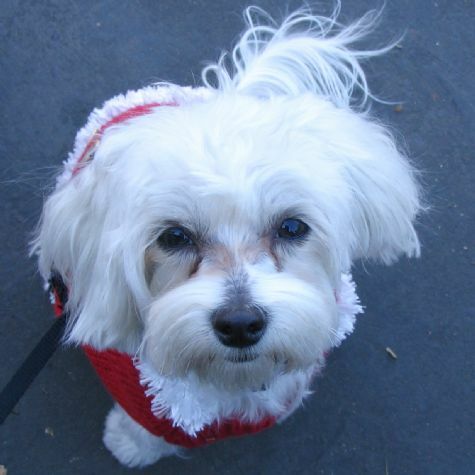 My name is Hannah, and I'm a Maltese. I live in downtown Los Angeles and love the city. My best human friend and I go for walks all over, and I love to ride in her bicycle basket! The best thing I've ever done, though, is meet the kids at the hospitals we visit with Love on 4 Paws. These patients are very special, and I like to sit on their beds and give them love. A couple of times I got to ride in a wagon with a new friend! When I meet you, I hope you don't mind lots of kisses!